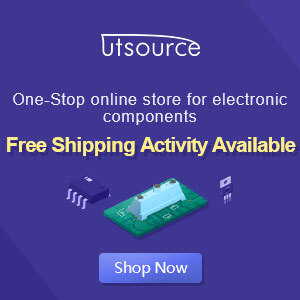 On this occasion, I will share a the circuit very useful for everyday life. I named this series circuit switch Lamp With Sound Sensor (Tap), it is because I adjust to the workings of this tool. With more advanced electronics technology and development we do not need to use a conventional switch for turning on and off lights. Simply use this tool we can just give a voice / pat hand is sufficient to turn on the lights in the home. 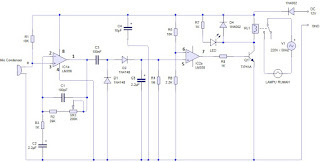 This circuit is a non-inverting amplifier using IC LM358 Op-Amp. 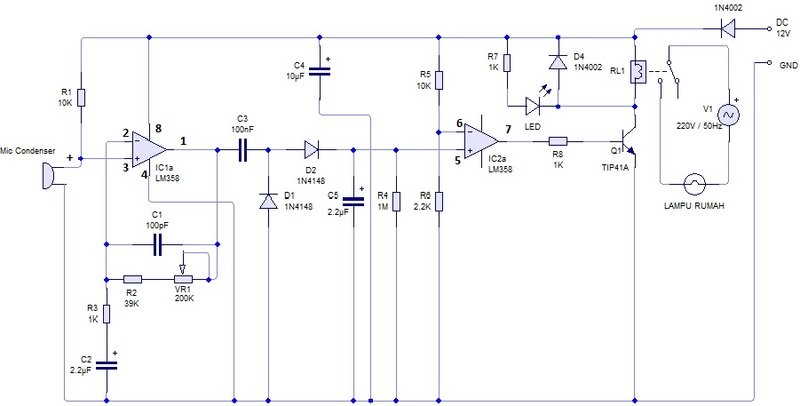 I have modified this circuit using an electronic component that is easy to get on the market.